YOU STEPPED UP! You have vision, tenacity and you are doing it! You may have launched your business, it's an idea you're still perfecting or you're well on your way. It's time now for US to step up for you. 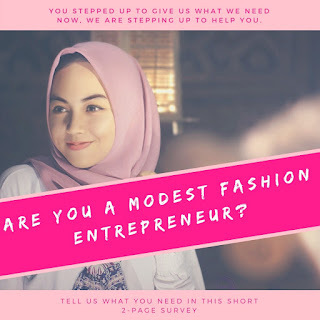 In partnership with the International Modest Fashion and Design Festival, difine yourself by Romana Mirza have come together to develop this short survey to understand your needs - the modest fashion entrepreneur. At around 1:30 pm on Saturday Aug 26 at the IMFDF Romana will be giving a talk titled "She's the Boss" many of the topics in the survey will be covered in this short workshop. 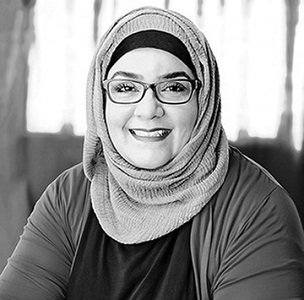 What we are looking for is you, the modest fashion entrepreneur, to provide us with information on what you need. We can't read your mind so please tell us what is on your mind? Help us help you. You've stepped up, let us step up and help you! We will provide programming and content to support you on your enterpreneurial journey in the areas of marketing/pr/branding, operations, production, business management, finance & accounting, merchandising, distribution and so much more - tell us what you need and let's do this together! Use the links below to share this post widely.